There is a range of marina options in Fiji for our visiting yachts and superyachts to enjoy the services of. Conveniently scattered throughout the islands, you will be able to make use of moorings, berths, docks and jetties. Hot showers, fuel, a variety of services and fellow sailors to exchange experiences with over a sundowner at the yacht club are just some of the facilities you can enjoy. 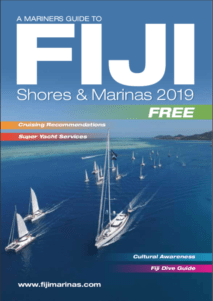 Simply click on the Marina listed below to read more about the location, available services and attractions as you plan your route around Fiji’s pristine tropical islands.